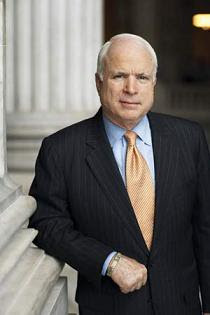 Republican presidential candidate John McCain will be in Albuquerque Monday for a rally at the UNM Student Union Building. This will be the first candidate visit to the state since Barack Obama appeared in Espanola a couple of weeks ago. The doors open at 11:30 p.m. and the rally starts at 1:30 pm. I don't have any information about what to do if you want to attend, but I'll update this post when or if I find out.